Apple Watch payments: what's the point, and should we worry about fraud? Why exactly would you want to pay with a smartwatch? After launching Apple Pay in the US in October last year, Apple will soon extend its payment service with Apple Watch. How does Apple Watch fit into retail payments? And why exactly would we want to pay with our watches now? Our interview with Ralf Gladis, CEO and co-founder of Computop, a global payment service provider, sheds some light on such questions. 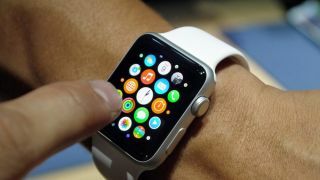 TechRadar Pro: Ralf, tell us why we should use Apple Watch in order to pay for our purchases? Ralf Gladis: Paying with an Apple Watch will be much faster than a normal card or cash payment because no PIN, signature or print receipts are needed. No fumbling with cash, cards or paper. The user just taps his Apple Watch on the merchant's POS terminal. That's easy for consumers and provides a better throughput at peak times for the merchant's checkout. Those are two powerful advantages that will not only lead to Apple Pay's success but also help Visa, MasterCard and American Express with the deployment of EMV and Near Field Communication (NFC) enabled POS terminals. To date, NFC has delivered slow adoption. That will likely change now as Apple Watch will be an accelerator for NFC and a door opener for Visa, MasterCard and American Express which have been challenged in the area of mobile payments by many small but innovative competitors. TRP: For retailers, EMV and NFC enabled POS terminals are quite an investment. Does Apple Watch make any difference with such investment decisions? RG: Yes, Apple Watch does make a difference for two reasons: wearables like Apple Watch are perfect tools for quick NFC payments because a watch is on the consumer's wrist already and he doesn't have to fumble with his iPhone. Consumers will like that. Moreover, Apple Watch is just one of what will be many of its kind with regards to portable devices and wearables for payments. In my opinion the achievements of Apple Pay are less based on the innovations of Apple and more on Visa and MasterCard technology that is available to everybody: EMV and NFC. At Computop we expect more smartphone manufacturers like Oppo, Samsung and/or Sony to add their own NFC payment solutions based on Android. When retailers consider investments in EMV today, they should expect other manufacturers to provide smartphones and wearables with EMV and NFC payment solutions to a much larger user base than the Apple community – and with such volume comes opportunity. TRP: How does Apple Watch work when it comes to payments? RG: Apple Watch uses NFC radio technology in order to process payments with the merchant's POS terminal. When a consumer taps his Apple Watch it transmits encrypted payment data and tokens to the POS terminal, and the retailer should get an authorisation from the bank within a second or two. That's fast and simple. As long as the watch is connected to an iPhone 6 only the watch has to be unlocked. In conjunction with an iPhone 5 Apple Watch will require an additional code before starting the payment. In order to provide security around high-value purchases, however, there are open questions whether or not PIN entry is necessary. According to the EMV standard NFC payments above certain limits, say beyond $30, €25, or £20, still require a PIN entry. Such limits vary with geography, though. iPhones can compensate for the security provided by a PIN with the Apple TouchID fingerprinting, but Apple Watch doesn't have such sensors. Therefore, there is speculation around high-value purchases: would Apple Watch users have to enter their PIN on the merchant's PIN pad? That would adhere to the EMV standard, but what we've heard so far is that no PIN would be required with Apple Pay. Or would Apple Watch be allowed to deviate from the standard and only ask for a PIN once the watch is taken off and put on again? Another option could be to tap the Apple Watch and use the iPhone in order to provide a TouchID fingerprint in order to compensate for PIN entry.